What to do after publishing a blog post-part 4-Free Facebook fans and likes. I hope you have already made use of my previous 3 posts on blog promotion methods. If you have not read them, I have given the links to them at the end of this blog post. In this 4th part of ‘What to do after publishing a blog post’, I have introduced another free way to get more social signals. 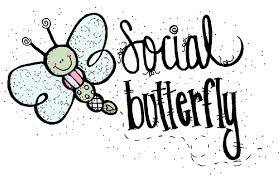 Once you implement this method, you will enjoy being a social butterfly because you would get social shares from 100% targeted Internet marketers and bloggers. I have come across a very useful forum in its baby stage. It is called MSocialH (Million Social Help ). In the first sub-forum, you can say something about you and your website URL too. Yes, it is a place to promote your web sites. The second forum explains itself by its name. The sub-forum is organized in such a way that you can post your blog post URLs under relevant categories so that you get 100% targeted social shares. It also saves plenty of time for you. ‘Giveaways’ is a sure fire way to get your blog post read by thousands of people. The forum owner has a web page in ‘Listly’. You can use his web page to announce your giveaways under ‘Add your giveaway’ tab. FYI, I too have blogged about a list of sites where you can post your ‘giveaway’ events free. Under ‘Reward Program’ tab, you earn points for various activities and they are redeemable for prizes. I think this is getting interesting. With the option of sponsoring the prizes in reward programs, your website gets big exposure. The prizes could be offered totally free or for discounted price. In addition, you can read good articles on top five social media sites under ‘social media’, Twitter’, ‘Facebook’ tabs and so on. Free advertising of your website, blog, product or service. Free Facebook Fans, Likes and shares. All the forum links are ‘do follow’. Social media traffic is becoming more and more important with each Google SEO update, as many websites gets hit by Google each day it's clever to have a backup plan. Thank you so much for featuring our forum, it's our honor to have you as a great member. I am pleased that you have read my blog post and took time to comment. I feel honored.